IT’S PARADE DAY IN THE ROSE CITY! 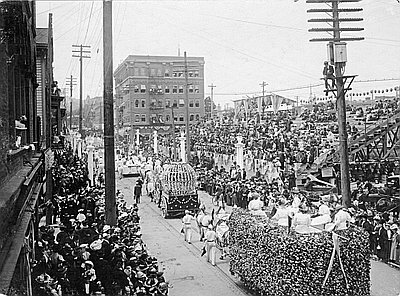 Rose Festival Parade, NW corner of 10th & Madison, 1908. 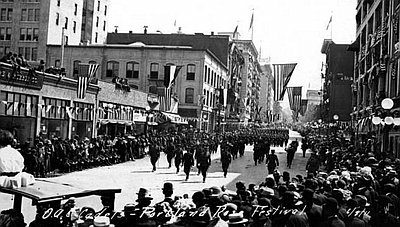 Cadets marching in Portland’s Rose Festival parade, 1911. 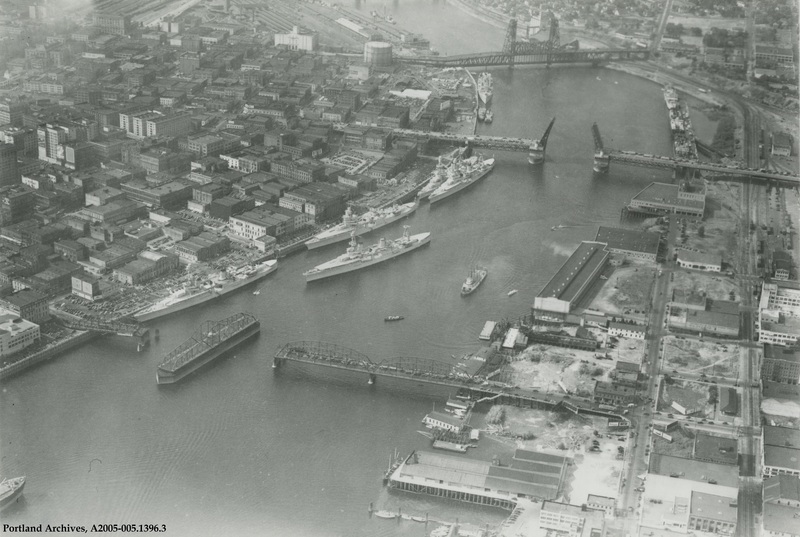 Portland, Oregon Rose Festival Grand Floral Parade in 1954.
waterfront for the Rose Festival. 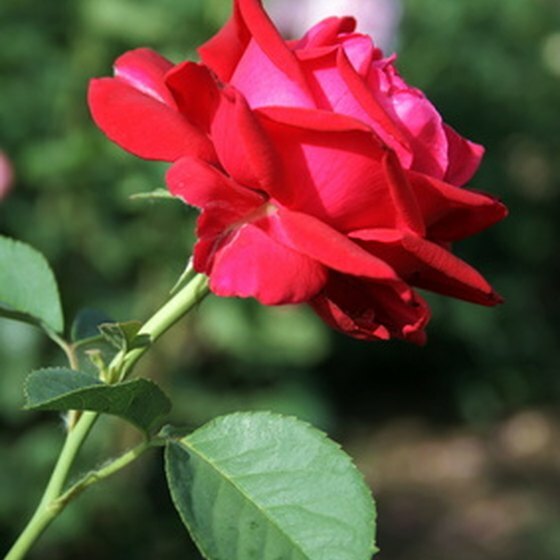 since the beginning of the Rose Festival in 1907.
should begin departing on Monday morning, June 13. 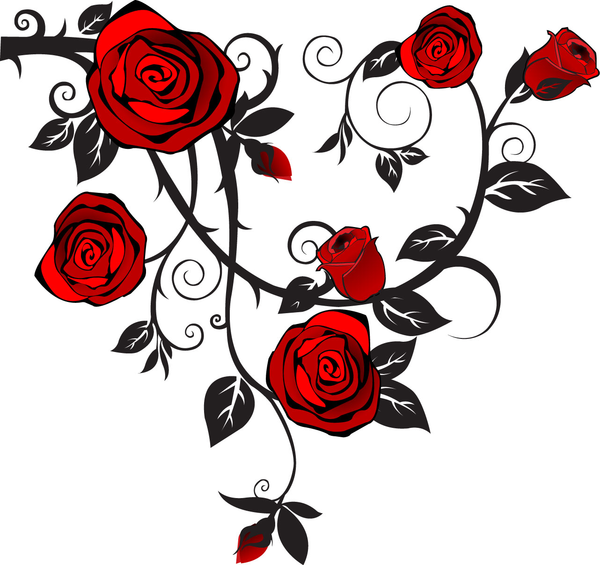 IT’S PORTLAND ROSE FESTIVAL TIME ! Centennial Exposition in 1905. The first festival occurred in 1907.
and again in 1907. 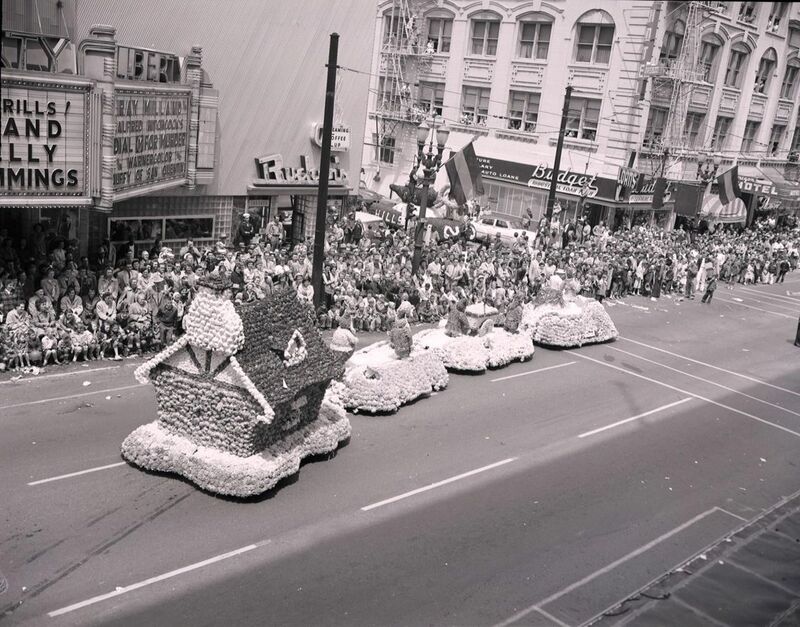 He appointed Lola G.
Hose company #20 – 1st prize winner in the 1908 Rose Parade. Electric Float, Portland Rose Festival in 1909. IT’S PARADE DAY IN PORTLAND!